Surrounded by like-minded creatives and warm-hearted industry leaders, join us for an escape from the hustle and pressures of chasing success while we invest in giving our businesses focus, engage in intentional community and hone in on what matters most. 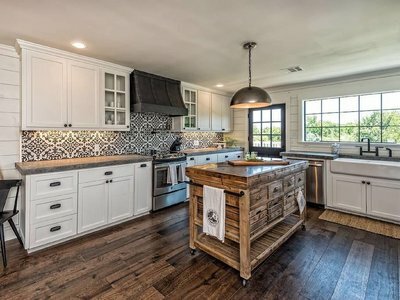 Nestled in the small town charm of Waco, Texas, let's trade our laptops for warm cups of coffee savored in the company of just 10 like-minded creatives and big dreamers! 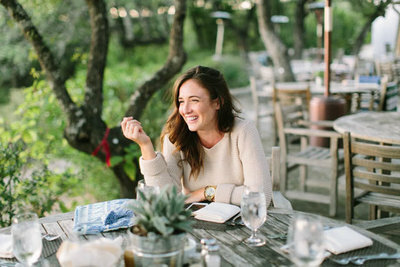 Surrounded by live oak trees and a newfound community of like-minded entrepreneurs, you’ll feel like you’re miles away from the hustle of small business life as you unplug for a few days of true relaxation and powerful, heart-centered work. From October 14-17, 2019, please join us for what’s sure to be a sweet time of refresh, relationship building, gleaning practical takeaways and intentional business planning. During this time, you will be encouraged and poured into by four industry leaders who are passionate about equipping you to build the intentional business of your dreams. With five sessions geared to impart practical information on creating from a place of truth, two hands-on creative sessions designed to spark your artistic sensibilities and teach you a valuable new skill, as well as dedicated small group time designed to help you really dig into this content, planned breakouts for planning and reflection, and thoughtfully curated surprises peppered in between, Illume promises to be nothing short of life-changing. Sound like just what you're searching for as you pursue a purposeful way of life and business? Keep scrolling for the full details! "This was the very first retreat I have been to in my career where I truly felt like I could be present. My auto-responder was up & all pressing client work was complete. That sense of relief, y’all, was amazing. I found freedom in knowing that I could actually take time to pour INTO my business & help my sweet friend along the way. I had intimate conversations on life, Jesus & business, talked finances & budget with brilliant minds, set goals for the remainder of 2017 & was challenged my industry peers to keep pushin’ on. 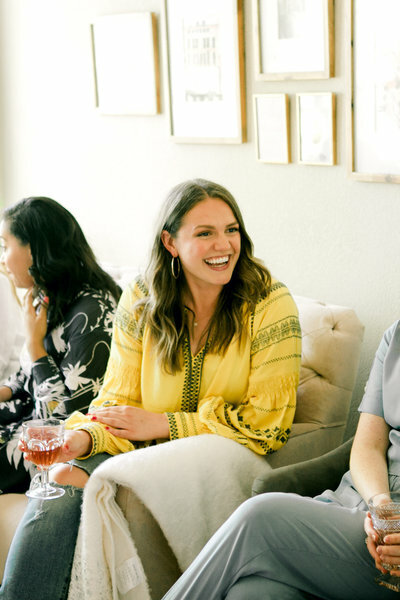 If you’re looking for an experience that CARES, with women who sit down beside you on a living room couch & meet you right where you are, Illume is for you." "If you're looking for an experience that cares, with women who sit down beside you on a living room couch and meet you right where you are, illume is for you." - Three full days of sessions led by four industry leaders. Each session is carefully crafted to help you hone in on the heartbeat of your business, infuse purpose and intentionality into every facet of your business systems, and help you grow your business thoughtfully and authentically. - Two hands-on creative sessions (topics TBD) for you to build community with attendees and speakers, learn from a talented creative and try your hand at a new skill, concept or art form. - Dedicated reflection time designed to give you an opportunity to absorb the day’s sessions, set goals, dream big and dig deeper into the heart of your business. - Plenty of face-to-face time with each speaker and breakout leader throughout the retreat. 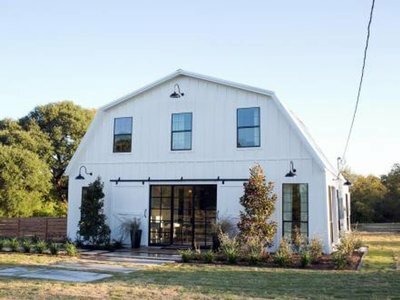 - Three nights accommodations (October 14, 15, and 16) at the beautiful Barndominium, as seen on Fixer Upper Season 3, for a truly cozy, relaxing atmosphere. 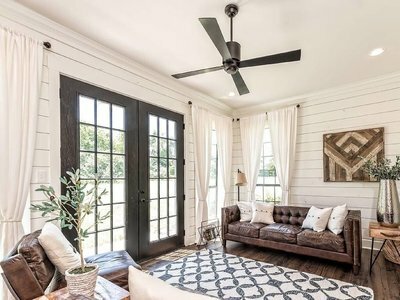 Nestled on 16 private acres just 10 minutes from downtown Waco, this restful space is the ideal setting for a peaceful retreat. Rooms are available with private king beds, queen beds or twin beds in shared rooms. Through our fun attendee questionnaire, we'll pair you with the perfect roommate for the ultimate girls' getaway experience! Three private room upgrades are available for a nominal fee. - A beautifully styled welcome dinner at 7 pm on October 14, and an equally beautiful farewell dinner on the evening of October 16, as well as all meals, snacks and nonalcoholic beverages for the entirety of the retreat. Breakfast on the morning of October 17 will be provided at your Airbnb directly to see you off on your travels with a full heart and stomach! Please note that all meals, snacks and beverages can be modified to meet any dietary restrictions. - Thoughtfully curated gifts and surprises throughout the retreat designed to encourage, refresh and spoil you! - Transportation to and from all retreat events. Please note that attendees are responsible for securing their own transportation to and from the airport for both arrival and departure. we strive to create an all-inclusive experience that enables you to wholeheartedly benefit from our curriculum and uniquely restful environment. Keep reading to see what's included in your registration! Early bird rates of $2,995 will be released on March 13, 2019 at 9am CST and are available on a first come, first serve basis. Flexible payment plans are available, and seats are limited to just 10 in order to preserve the relational and personal nature of this retreat. Registration for our April 2018 retreat is completely sold out! But we're already dreaming up ideas for future retreats and educational opportunities. Join the waitlist below to be the first to know when new dates are announced! "I imagine I'll still be unpacking what I received from them for months and years to come. But what I can say is how I feel. I feel more at home in myself than I ever have in my entire life. I feel more certain of who I am and who I was created to be than I ever have before. I feel so deeply seen and known and validated and championed. 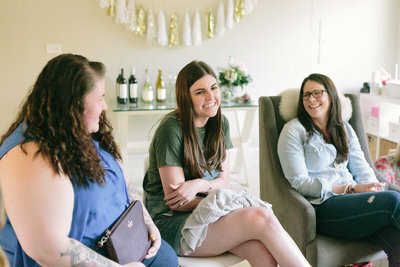 My big-dreaming heart feels so refreshed and envisioned and connected to a life-giving network of women who remind me I'm not alone in this journey. There were lots of ugly cries, lots of vulnerable and brave conversations, lots of calling out the greatness in one another. There truly aren't words." 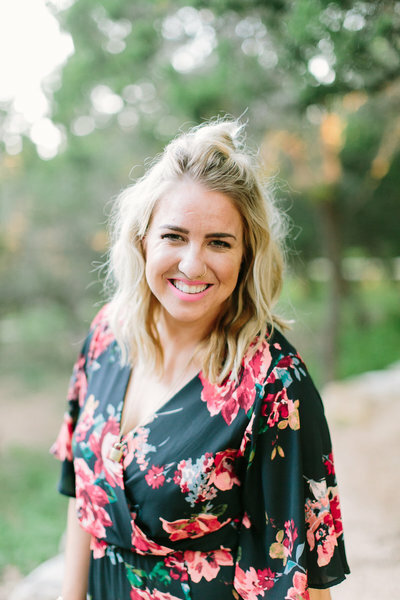 "My big-dreaming heart feels so refreshed and envisioned and connected to a life-giving network of women who remind me I'm not alone in this journey." "I told Drew, I have to go. I prepped my heart the best you can when you know you are about to cry your eyes out (just to cry them out) and be with people who just “get it.” Drew asked me why I would cry and I said: because I will be surrounded by people who really get “it.” The people who work their booties off, who hustle behind their laptops, who live in yoga pants, who show up every day to make their dreams happen. I knew that my heart and brain and life needed to be filled in a way that I couldn’t fill myself from behind this very computer screen on the couch in our attic space." "...when I think of my time [at the illume retreat,] i knew my soul needed it." an optional experience for the creative who's ready to dive into her illume retreat experience with purpose and walk away with clarity on the other side. and there's something new for our 2019 retreat! Through actionable strategy and dependable accountability, we'll work together to not only hone your goals going into the Illume Retreat, but we'll also map out the best ways to take action on those goals once you return home. There's no need to navigate this journey on your own. 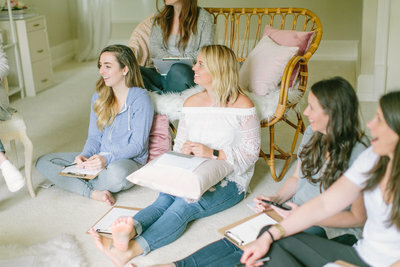 Together, we'll navigate the 3 weeks leading up to the retreat and the 3 weeks after the retreat alongside your fellow Illume Retreat sisters through an intentional mastermind experience. 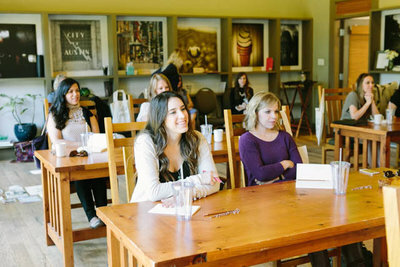 It's easy to dream big for your business surrounded by a group of likeminded creatives during the retreat. But what happens when you get back to your everyday routine and those big dreams, that sense of Truth, and those lightbulb moments take the back burner? The Illume Mastermind is designed to continue to propel you forward long after our final day at the Illume Retreat wraps up. I'll guide you through the practical ways you can implement your newly-defined sense of Truth throughout your brand, marketing, and personal life, all while giving you the space to process your questions and work through your pain points in the confines of a close-knit community. Confidence to build a business that blesses your life through a sense of work/life balance that works for you! The clarity to enter into the Illume Retreat with insight into your goals, and the tools to take action on those goals after the final day of the retreat wraps up!